Stretching from the outskirts of Saigon all the way down to the Gulf of Thailand, the Mekong Delta is painted dazzling shades of green by its labyrinthine network of fertile paddy fields, orchards, swamps and streams. This tour allows you to break away from city life and experience Vietnamese culture at its most traditional – children riding on the backs of buffalo; boats laden with fresh produce plying narrow, muddy streams; locals cycling down dusty back roads. 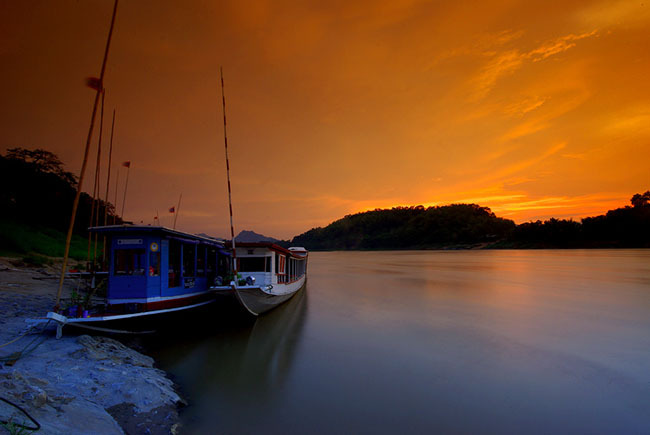 The tour begins with a boat trip up one of the Mekong’s many tributaries, sheltered from the sun by swaying coconut palms as you pass small fishing villages and local islets. You pay a visit to a bee farm and a coconut candy factory before stopping off for lunch and a chance to relax or engage in a range of activities – row a boat, ride a bicycle, listen to traditional music and enjoy fresh fruits in the garden – before returning to The Myst in the evening. Pickup time: 7:30 a.m. – 8 a.m.
Return time: 4:30 p.m. – 5 p.m.
Price: Ranges from VND 1,050,000 per person from groups of 10+ to VND 3,950,000 per person for groups of two.